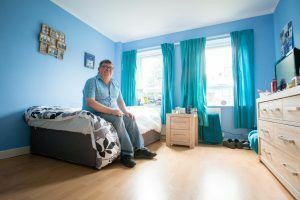 Maryanne, who Affinity Trust has supported since 2016, lives in a quiet side-street in Didcot, Oxfordshire. 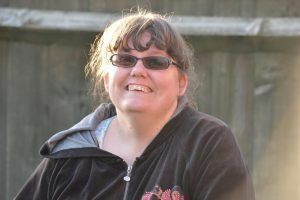 Sharing the bungalow is another person with a learning disability, who Maryanne has known for many years. Maryanne’s family lives locally and she is supported to visit them regularly. Since last October, Maryanne has been a regular attender at Slimming World. Her local branch is based at the Baptist church, where Maryanne goes every week with two of her support workers. With support from her staff, and Slimming World advice, she cut down on cakes, sweets, sauces and alcohol – and, by Christmas, had lost half a stone. Maryanne’s favourite meals include curries and Chinese food – food she’s had to ration since starting slimming. 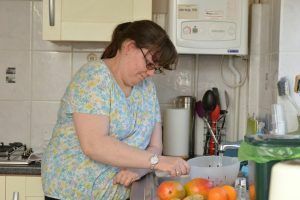 Maryanne helps her support team with cooking by chopping vegetables, but makes her own breakfast. The Slimming World sessions are typically followed by a trip to a local pub or club. Maryanne enjoys karaoke, and is keen to show visitors her songlist, packed with 70s and 80s classics. The rest of Maryanne’s week includes shopping, visits to Style Acre day centre, and trampolining. Once a fortnight, she goes to her parents for a Sunday roast cooked by her father. At home, Maryanne enjoys playing on her Wii, doing jigsaws on her tablet, and cross-stitching. She loves the butterflies that adorn every wall in her bedroom. Outside, Maryanne enjoys tending her garden, with its well-stocked fishpond, roses she planted in memory of her aunt and uncle, and the cries of the red kites circling overhead. “She loves her garden,” says support worker Julie. 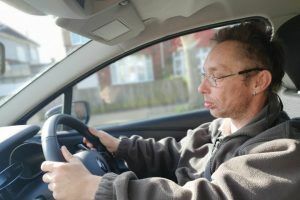 Robert, who Affinity Trust supports in Bedford, is taking driving lessons for the first time, after 12 instructors said they wouldn't teach him. Patrick, in his 30s, has always been into karate. So when Samantha, a member of the World Tang Soo Do Association, joined his support team, it was a perfect match. The Care Quality Commission (CQC) has rated Affinity Trust’s second residential home in Portsmouth ‘Good’ in all five categories - safe, effective, caring, responsive and well-led.